Lucky me, nice surprise today when the new RCA  all-Chopin eight-CD box arrived with all of Brailowsky's Chopin (mostly mono) was reissued. I grew up with his early RCA and eventually Columbia recordings. During his lifetime, Brailowsky was noted for his Chopin. Today, unfortunately, few too people of the younger generation even know his name. It is a pity that RCA did not deem it necessary to issue a complete set of all his recordings for the company. Among my favourites was a 10" LP of Bach-Vivaldi. In the past, RCA has issued a couple of things from their catalogue, namely the Living Stereo set [32174, his Encores album], a Rachmaninoff Piano Concerto #2 with San Francisco SO under Jorda  and 68165, 2 CDs, Brailowsky Plays Virtuoso Showpieces. I'm not sure many of these are still being made available. So much for Alexander Brailowsky! Hi, Lance! 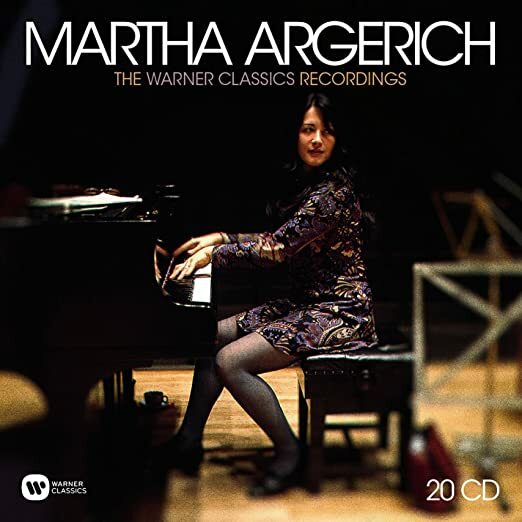 Actually, Brailowsky is on my wishlist, but it's Marta Argerich who's going to be put on my shelves this month! With my limited shelf space, I have to buy slowly! Regarding Argerich on EMI/Warner, I show about 65 discs on the EMI/Warner label with her on them, which includes all the Lugano Festival recordings. Is this new Warner box only solo piano compositions? And is there anything new within the 20-CD boxed set that hasn't been issued previously that you might be aware? I have collected probably most every recording she has ever made for the major- and minor labels. This includes all the British Decca, Sony Classical, DGG, EMI/Warner, Philips, and RCA. There are many other labels such as Accord, Avanti, Doremi, Dynamic, Enterprise, Etcetera, Memories, Q-Disc, Radio Netherlands, Teldec, Erato. She recorded prolifically for which I am most appreciative and thankful. During his lifetime, Brailowsky was noted for his Chopin. Today, unfortunately, few too people of the younger generation even know his name. I know Brailowsky's name but I didn't get any of his solo records, just the Chopin/Saint-Saens concertos with Munch and the BSO for the repertoire (a convenient coupling to save money). With so many great Chopin players as his contemporaries, and only Cortot and Rubinstein recording Chopin in bulk, it's a mystery to me how Brailowski got to make all those records for the two major American labels. A Gramophone review of a varied Brailowsky reissue cites his "lack of either musical or technical finesse" and concludes, "there is far too little to delight or, indeed, engage the listener at even the most rudimentary level." This is the kind of thing I remember reading about Brailowsky back in the '50s when I was buying my first records of many Chopin pieces. And yet Lance appears to be a Brailowski enthusiast. What special qualities did Brailowsky's playing have that I'm missing? Last edited by John F on Sat Sep 29, 2018 11:48 am, edited 1 time in total. This is the kind of thing I remember reading about Brailowsky back in the '50s when I was buying my first records of many Chopin pieces. And yet Lance appears to be a Brailowski enthusiast. What special qualities did Brailowski's playing have that I'm missing? Actually, I agree with those reviews, now that you mention it, JohnF. I vaguely remember listening to a Chopin recording from my local library by Brailowsky, and my mother (who was a Rubinstein fan and herself a player of Chopin) criticizing my choice of recording quite strongly. I remember his playing was a bit clumsy. Thanks for the reminder. Yes, I found much to enjoy in Brailowsky's recordings. It seems, very long ago, as a youngster, I heard him in concert in New York. Naturally, Brailowsky was in some competition with other pianists whose Chopin was considered outstanding (thinking Rubinstein here). But other piano professors and collectors hold him in very high esteem, as I do, as I hold many of Leschetizky's most celebrated pianists. Perhaps it is the "tone" they are able to produce ... the magical "Leschetizky touch." I wholeheartedly recommend this set to all pianophiles. Sony Classical is pleased to announce the first release of Alexander Brailowsky’s complete RCA Victor recordings, many of them never before available in the digital medium. Born in 1896 in Kiev, Brailowsky studied at the conservatory in his native city, then part of the Russian empire. In 1911, he went to Vienna to become a pupil of the legendary Theodor Leschetizky, who taught many of the 20th century’s outstanding pianists. During World War I Brailowsky also studied with Busoni in Switzerland, and in 1919 made his debut in Paris. Five years later came his first appearance in New York where he settled, then making regular coast-to-coast tours of North America while continuing to visit Europe. Well, to each his/her own. Yes, of course, it always seems to be that way when it comes to performing artists. This thread has had over 1,100 hits! I would like to hear from others who are familiar with the art of Alexander Brailowsky and, perhaps, what they believe to be so distinctive about his artistry. I admire, personally, the artist very much. Different from Rubinstein, Moravec, Horowitz, yes. But still something important to stay. Amended my previous message to bring it to the top. Love to hear what others have to say. I sampled several of these discs via Spotify and compared a number of selections with RCA recordings of Arthur Rubinstein. Brailowsky's playing seemed slightly more nuanced than Rubinstein as far as dynamics, especially in really soft passages. But tempi were pretty straight, sometimes very fast, even rushed, with clarity in his handling of inner voices. It isn't swooning Chopin. I wondered if he had played a lot of Bach. His tone was colorful, but Rubinstein was much warmer sounding. 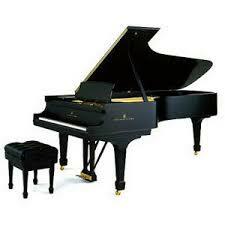 The attacks on the notes reminded me of Alfred Brendel or Yuja Wang in what I perceive as spikiness. But he is way ahead of them in terms of pianistic color. By coincidence, I was listening to Eugene Istomin's contemporary recording of the Nocturnes around the same time over a couple of days. Both Rubinstein and Brailowsky sounded musical but straight next to Istomin. It's hard to find the words to describe his playing, it was often moving and sometimes passionate. I imagined his recitals were pretty special.